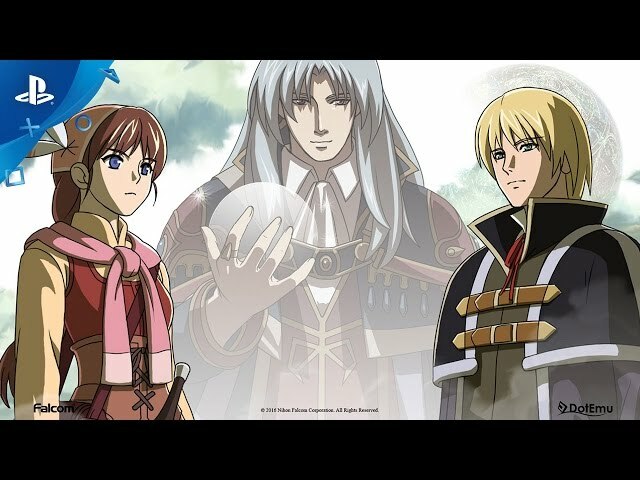 Ys Origin (game, 2006). An action role-playing video game by Nihon Falcom JP, Xseed Games (PC) WW DotEmu (PS4/Vita/One) WW/XSEED Games. Developed by Nihon Falcom, XSEED Games, Ys, DotEmu. Official Trailer. Ys Origin is an action role-playing video game by Nihon Falcom JP, Xseed Games (PC) WW DotEmu (PS4/Vita/One) WW and XSEED Games, developed by Nihon Falcom, XSEED Games, DotEmu and Ys. Ys Origin - PlayStation Experience 2016: Announcement trailer PS4, PS Vita. There once was a wildly prosperous land named Ys, ruled by the twin Goddesses Reah and Feena and their six priestly retainers. It was a veritable paradise, with all its residents able to enact miracles at will through the use of magic - a power granted them by a holy artifact known as the Black Pearl. One day, without warning, enormous demons marched upon the land, bringing death and devastation in their wake. Their numbers and their might were too much for the knights and sorcerers of Ys to handle, so the people sought shelter within their holiest of temples at the top of the tallest mountain. In a desperate attempt to keep these people safe, the twin Goddesses used the power of the Black Pearl to tear this temple from the ground and raise it into the heavens, away from the ever-growing threat below. The demons were determined, however. They erected an enormous tower from which further attacks were launched, bringing the battle into the skies. An all-out war had begun, with forces concentrated in Solomon Shrine above and the Devil's Tower below. And it was amidst this chaos that the twin Goddesses stole away into the night. No one was told of their departure - not even the Six Priests who served them. It seemed clear that they'd gone back to the surface, but no one knew exactly why. Only one thing was certain: Without the Goddesses, Ys could not survive. Intent on finding their missing deities, the Six Priests organized a search party of the most elite knights and sorcerers in the land. These soldiers were given a single mission: Secure the safety of Ladies Reah and Feena, and bring them back to Solomon Shrine alive and well. But in the desolate, ruined remains of Ys, there's only one place they could have gone...the Devil's Tower itself. Ys Origin features three characters with various fighting styles. Yunica is able to wield axes and greatswords with ease. In addition to standard hack-and-slash combos, Yunica is also able to perform various aerial maneuvers such as the down-thrust and up-thrust from previous Ys games, as well as a crippling lunge attack. Hugo Fact can fire energy from his wand and his "Eyes of Fact" alike, he can often fill the screen with destructive power, mowing down all enemies in his path before they have a chance to get anywhere near him. With good timing, he can pull off a crippling "power shot," generating a debilitating pillar of pure magic with a wider area of effect. "The Claw" is a short range/high damage character geared towards the more experienced players. 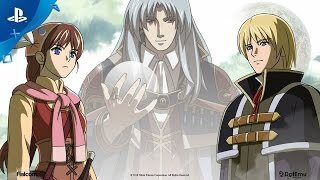 Ys Origin was scheduled to be released by Nihon Falcom JP, Xseed Games (PC) WW DotEmu (PS4/Vita/One) WW and XSEED Games on December 21, 2006, on May 31, 2012, on February 21, 2017, on March 6, 2017, on May 30, 2017 and on April 11, 2018. This video game is available for the following platforms: Microsoft Windows, PlayStation 4, PlayStation Vita, Xbox One.